All objects surrounding us (including people!) contain large amounts of electric charge. There are two types of electric charge: positive charge and negative charge. If the same amounts of negative and positive charge are found in an object, there is no net charge and the object is electrically neutral. If there is more of one type of charge than the other on the object then the object is said to be electrically charged. The picture below shows what the distribution of charges might look like for a neutral, positively charged and negatively charged object. Positively charged: electrons are removed making the object electron deficient. Negatively charged: electrons are added giving the object an excess of electrons. Objects may become charged in many ways, including by contact with or being rubbed by other objects. This means that they can gain or lose negative charge. For example, charging happens when you rub your feet against the carpet. When you then touch something metallic or another person, you feel a shock as the excess charge that you have collected is discharged. Charge, like energy, cannot be created or destroyed. We say that charge is conserved. When you rub your feet against the carpet, negative charge is transferred to you from the carpet. The carpet will then become positively charged by the same amount. Another example is to take two neutral objects such as a plastic ruler and a cotton cloth (handkerchief). 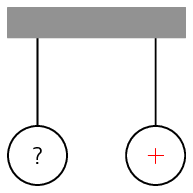 To begin, the two objects are neutral (i.e. have the same amounts of positive and negative charge). Note: We represent the positive charge with a + and the negative charge with a -. This is just to illustrate the balance and changes that occur, not the actual location of the positive and negative charges. 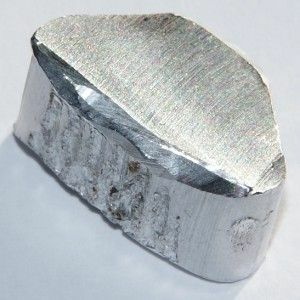 The charges are spread throughout the material and the real change happens by increasing or decreasing electrons on the surface of the materials. Now, if the cotton cloth is used to rub the ruler, negative charge is transferred from the cloth to the ruler. The ruler is now negatively charged (i.e. has an excess of electrons) and the cloth is positively charged (i.e. is electron deficient). If you count up all the positive and negative charges at the beginning and the end, there are still the same amount, i.e. total charge has been conserved! If you have a cotton cloth and a silk cloth and you rub them together, which becomes negatively charged? There are two materials provided and they will be rubbed together. This means we are dealing with the interaction between the materials. The question is related to the charge on the materials which we can assume were neutral to begin with. This means that we are dealing electrostatics and the interaction of materials leading to the materials becoming charged is tribo-electric charging. Locate the materials in the tribo-electric series. The key thing is to know which is more positive and more negative in the series. Silk falls above cotton in our table making it more positive in the series. We know that when two materials are rubbed the more negative one in the series gains electrons and the more positive one loses electrons. This means that silk will lose electrons and cotton will gain electrons. A material becomes negatively charged when it has an excess of electrons, thus the cotton, which gains electrons, becomes negatively charged. Note that in this example the numbers are made up to be easy to calculate. In the real world only a tiny fraction of the charges would move from one object to the other, but the total charge would still be conserved. The process of materials becoming charged when they come into contact with other materials is known as tribo-electric charging. Materials can be arranged in a tribo-electric series according to the likelihood of them gaining or losing electrons. If a material has equal numbers of positive and negative charges we describe it as being neutral (not favouring positive or negative overall charge). If a neutral material loses electrons it becomes electron deficient and has an overall positive charge. If a neutral material gains electrons it has excess electrons and has an overall negative charge. For this reason we describe the ordering of materials in the tribo-electric series as more positive or more negative depending on whether they are more likely to lose or gain electrons. This tribo-electric series can allow us to determine whether one material is likely to become charged from another material. Materials from the more positive end of the series are more likely to lose electrons than those from the more negative end. So when two materials are chosen and rubbed together the one that is more positive in the series will lose electrons and the one that is more negative in the series will gain electrons. 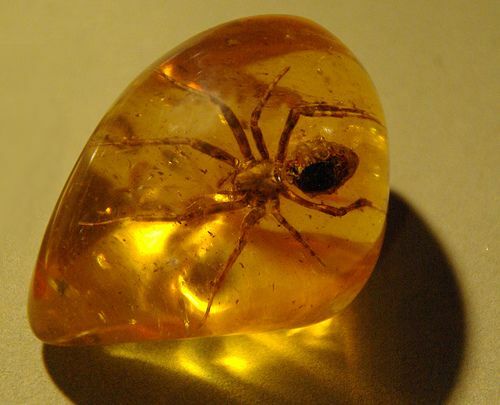 For example, amber is more negative than wool and so if a piece of wool is rubbed against a piece of amber then the amber will become negatively charged. opposite (unlike) charges is attractive. In other words, like charges repel each other while opposite charges attract each other. The closer together the charges are, the stronger the electrostatic force between them. The word “electron” comes from the Greek word for amber. The ancient Greeks observed that if you rubbed a piece of amber, you could use it to pick up bits of straw. Two charged metal spheres hang from strings and are free to move as shown in the picture below. The right hand sphere is positively charged. The charge on the left hand sphere is unknown. The left sphere is now brought close to the right sphere. If the left hand sphere swings towards the right hand sphere, what can you say about the charge on the left sphere and why? If the left hand sphere swings away from the right hand sphere, what can you say about the charge on the left sphere and why? In the first case, we have a sphere with positive charge which is attracting the left charged sphere. We need to find the charge on the left sphere. We are dealing with electrostatic forces between charged objects. Therefore, we know that like charges repel each other and opposite charges attract each other. In the first case, the positively charged sphere is attracting the left sphere. Since an electrostatic force between unlike charges is attractive, the left sphere must be negatively charged. In the second case, the positively charged sphere repels the left sphere. Like charges repel each other. Therefore, the left sphere must now also be positively charged.